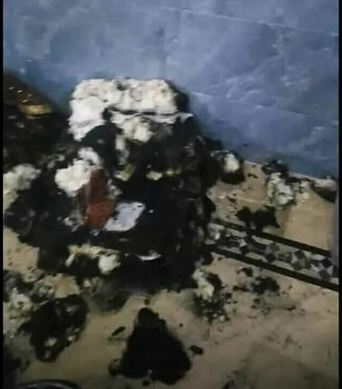 A Hindu Temple named Shyam Sewa Mandli in Kumb Taluka Kot Diji district Khairpur Mirs in Sindh was set on fire by unknown perpetrators yesterday. 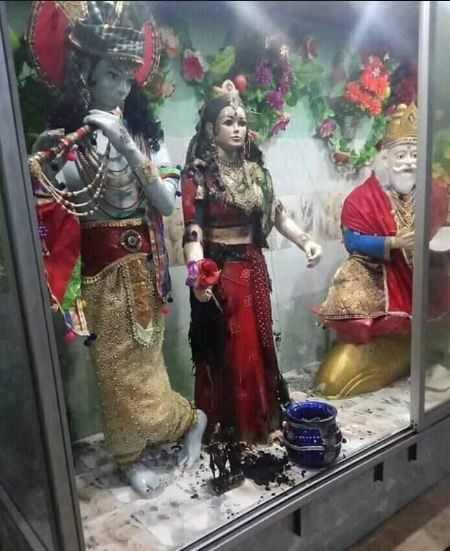 Before setting the Hindu Temple on fire they also attacked Hindu deities’ pratimas and burnt down Shrimad Bhagwat Geeta and Guru Granth Sahib. Hindu congregation is demanding a thorough investigation as several Temples in the past have come under attack as well. Mostly Nanakpanthi Hindus frequent this Temple on daily basis. 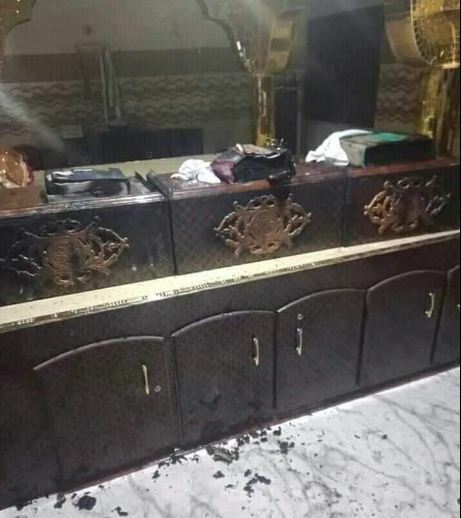 Hindu community is heartbroken after this attack and is demanding a thorough investigation. Hindus are demanding justice. Police have begun their investigation in this latest incident. Burnt sacred articles of faith. Who did it and why remain the question. IGP Singh, Syed Kaleem Imam has taken notice of the incident. Update: Prime Minister of Pakistan Imran Khan, also known as the Taliban Khan for his pro-Islamist stances, took notice of the incident on February 5th. He said that the ‘govt of Sindh must take swift and decisive action against the perpetrators ‘ claiming that this act was against the teachings of the Muslim holy book Quran. Due to religious persecution, ranging from murders to forced conversions, and disrespect to the articles of faith considered sacred in Hinduism, Hindus are migrating en masse to India where the Narendra Modi government has initiated a much-debated Citizenship Bill which is likely to make their lives much easier in the country.